Fred Seed, of Arizona Air Balance Company, has been active in HVAC TAB for four decades. His knowledge and experience has contributed to project design, development of test instrumentation including systems performance monitoring, and continued education for technicians and facilities engineers. Following are some of Fred's published articles in PDF format. Please click on the title to begin downloading the article. Note that the first article (Volume 1, No. 1) was published in early 1991. 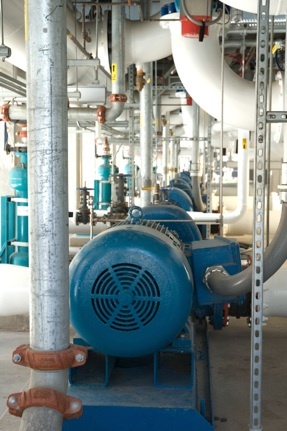 It explains applications of HVAC performance monitoring with a "portable" system, of which Arizona Air Balance Company was the first to extensively apply, starting during 1988.
explains why duct leakage testing is particularly important in hospital and laboratory environments. TAB Journal is a quarterly magazine featuring technical articles, news, and commentary about all aspects of testing and balancing. 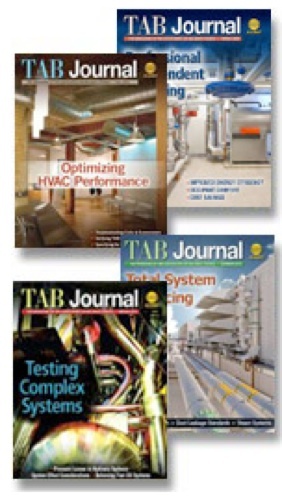 The only magazine devoted exclusively to the test and balance industry, TAB Journal welcomes articles and letters from contributors throughout the construction industry. Read the most recent issue online now.